Tech-giant Google has unveiled 2 devices that will be added to their arsenal – Nexus 6 and Nexus 9. Along with the two gadgets, the company also launched their latest operating software – Android v5.0, which is dubbed Android Lollipop. Not opting for a formal launch event, the giant made the announcement through their official blog. Google unveiled their flagship phone, tablet and operating software yesterday, October 15, 2014. This announcement comes just a day prior to the expected launch of the iPad Air 2. All the rumors that were circulating about the Nexus 6 were almost all true. The phone manufactured by Motorola, will sport a 5.96-inch screen and will have a powerful 13 megapixel primary camera. Another special feature of the Nexus 6 is that it will come with a Turbo Charger, which will give the phone 6 hours of battery life from a quick 15 minute charging session. The phone will be available in 2 different color options – Cloud white and midnight blue. Unlike its smartphone, Google has partnered with Taiwanese electronic giant HTC to produce the hardware for the Nexus 9 tablet. The tablet will be running the latest Android v5.0 (Lollipop). It will be an inch smaller than the iPad at 8.9-inches. The tab will come with a brushed aluminum frame and a soft-grip back. The primary camera will be 8 megapixels and the secondary camera will be 1.8 megapixels. Both the smartphone and the tablet will have Google’s ‘Ok, Google’ feature, which can be used to open any app without touching the screen. The Nexus devices will be up for pre-order from the Google Play Store from October 17. 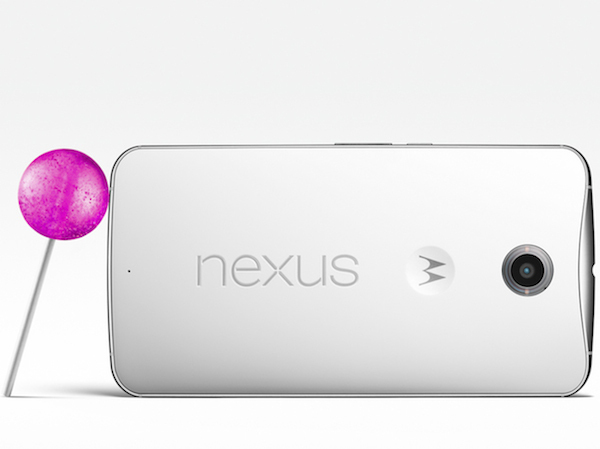 Shipping of orders will begin from November and the 32 GB Nexus 6 will cost $649. A 64 GB Nexus 6 will cost $699. This will also be the first time that a nexus will be sold via network carriers on contract – AT&T, T-Mobile, Verizon, Sprint and US Cellular.